The despised business of videoconferencing is about to get a new lease on life. This weeks Economist has an article on Telepresence. The full title is “Behold, telepresence – Far away yet strangely personal”. (Requires subscription). Image above is from the article. Videoconferencing was supposed to put an end to corporate travel. But positioning people in front of a camera, fiddling endlessly with controls and then either giving up or proceeding to stare at a tiny picture of a blurry face often seems less satisfactory than the humble telephone. Designers want people in telepresence meetings to appear life-sized, and the tables and rooms at the two ends to blend together seamlessly. (Rooms, furniture and even wallpaper are often identical, to aid the illusion.) People must also feel that they are making eye contact, which involves multiple cameras and enormous computing power. The delays in sight and sound must be negligible (ie, below 250 milliseconds, the threshold at which the human brain starts to notice), so that people can interrupt each other naturally. Sound must be perceived to come from the direction of the person speaking. And getting things started must be simple—ideally involving a single button or none at all. In addition to saving money, Cisco argues that telepresence saves time. The firm recently completed a takeover in eight days (as opposed to the usual weeks or months) by putting the lawyers in telepresence rooms instead of on aeroplanes. Lee Scott, the boss of Wal-Mart, the world’s biggest retailer, is said to see great scope for improving his supply chain. DreamWorks, a Hollywood studio that helped HP develop its telepresence system, says the technology will help it make movies cheaper and faster, by allowing creative types to collaborate without travelling. 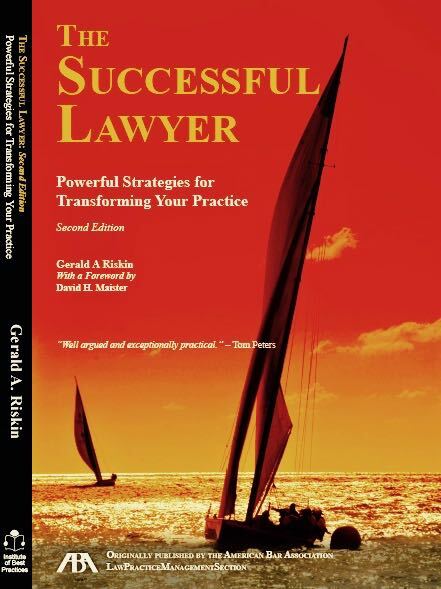 Managing Partners – don’t think about this opportunity from the law firm’s perspective but rather your client’s. You may have some clients who will acquire this technology and will want you to participate – I welcome this as I believe that most law firm technology comes because the clients want us to have it (sometimes, “insist”). If top corporations in your markets populate your client list, perhaps you should become familiar enough with this technology to initiate the discussion with your major clients. After all, wouldn’t it be refreshing for your client to believe of you that your firm is progressive enough to be at the forefront? Footnote (Greetings from Uruguay): Speaking of technology and the world becoming more virtual, I posted this blog entry from my hotel room in Montevideo, Uruguay following an assignment with an MDP (accounting and law) firm here. The Economist arrived promptly on my desk top this morning and I was able to effortlessly post this story. Perhaps before too long I will be able to conduct the kind of assignment I traveled here for by video conference.